Some breeds have well-documented histories, but others have legends spun into history. And some breeds have reputations tied to fact; others have reputations tied to fiction. We asked five breeds to spill the beans about the myths, legends, and stereotypes that surround them. Doberman Pinscher courtesy Alina Fokina. Perhaps you’ve heard we’re 100-percent tough guys? Before I set that straight, let’s review some history. I was developed by Friedrich Louis Dobermann, a German tax collector. 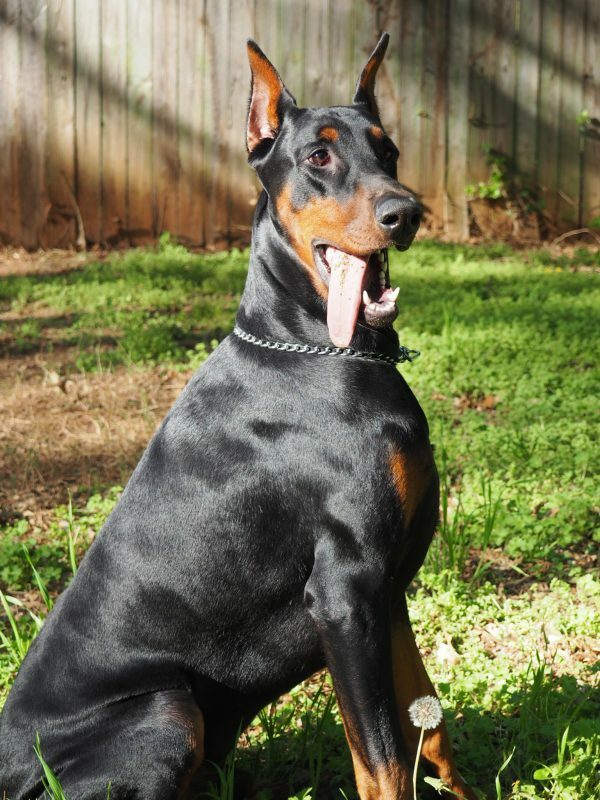 Dobermann bred me as a protector, but also as a friend. I have a history of successful police and military work. In WWII, I served the U.S Marine Corps in the Pacific. Today a memorial statue, Always Faithful, commemorates our devotion. So yes, we are hard-working, tough dogs in general. But here are three non-tough-guy facts: First, we’re extremely affectionate, if not slightly sappy, with our families. Second, we’re as passionate about play as work. We have a blast in agility, and we’re renowned for our participation in famous touring drill teams. And lastly, our coats don’t match up ideally to cold weather. I’ll shiver if you keep me outdoors too long in winter. Time to knit this tough guy a sweater! Great Dane courtesy Rolling Thunder Danes/Joe Camp Photography. Rumor may have you believe three things about me: First, that I’m Danish. Second, that I’m good natured to the point of pure silliness. And lastly, that I’m clumsy. Let’s start with my country of origin. I’m not Danish. I was developed by Germans to protect estates and hunt boar. My name seems to connect to Compte de Buffon, a naturalist who happened to see us in Denmark. Next, calling us light-hearted and silly isn’t the whole story. We’re an agreeable breed, but we have a working background. Guarding estates and hunting took strength and watchdog skills. And lastly, are we clumsy? I’d argue that Disney, Scooby Do cartoons, and other media portrayals exaggerate this trait, but yes, we’re ungainly as youngsters. As adults however, we’re rather elegant and graceful, at least for our size. 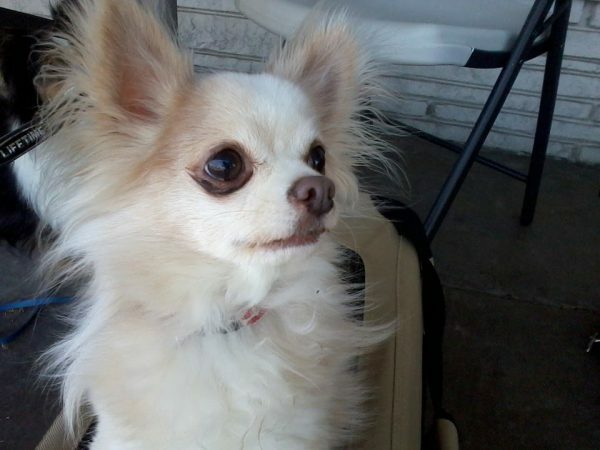 Chihuahua courtesy Barbara Jeleski, Felicia Raska. Let me first explain my lordly air. My predecessors were companions, but they were also deemed sacred. We were popular with the Aztecs; Montezuma II is said to have had hundreds of us. Regrettably, our holiness meant some of us were sacrificed on alters. But let’s not dwell on that unfortunate story. I’ll concede I’m spirited, strong-willed, and slightly arrogant at times. How about the rumor that I’m often a one-person dog? Well yes, I’m typically selective about my affection, and pick one person to shower with love. The next stereotype to blast open is that I only sit on laps (or in purses). Pshaw! I can excel in dog sports such as freestyle or agility. Lastly, is it true we shiver? Yes, we may shiver when we’re uncomfortable, and also when we’re chilly. How about you knit me the petite version of the Doberman’s sweater above? 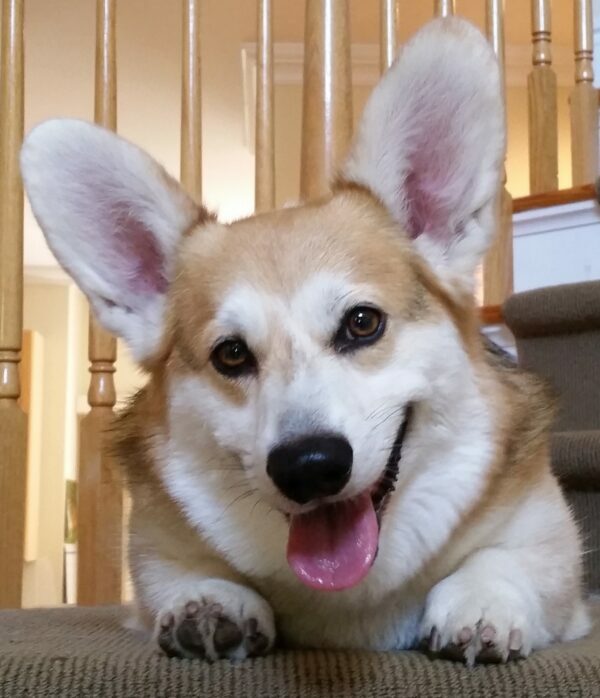 Pembroke Welsh Corgi courtesy Brandon Pfeffer/PWCC of the Garden State. Before I discuss my short legs and fairy-tale connections, let’s cover general history. Welsh farmers developed me as an all-around farm dog, with great situational awareness to tend to all matters of the barnyard. We led poultry to market, cleared rodents from barns, guarded the farm, and moved livestock. Our legs were bred for a functional purpose: to escape the kicks of small Welsh cattle. Probably because we’re such impressive workers, fanciful tales arose about us. We helped farmers by day, and were the trusted steeds of fairies at night. Purely a legend? Well, many of our coats do evidence a fairy saddle across our withers, a girth that attaches to the saddle, and reins. Folklore develops alongside reality, now doesn’t it? Saint Bernard courtesy Jann Hayes. Did we carry brandy casks for snowed-in trekkers? The answer blends history with art. While local monks developed us for rescue on the Great St. Bernard Pass leading to a hospice, our brandy image may derive from Sir Edwin Landseer’s painting of our ancestors assisting a traveler. But brandy or no brandy, my forefathers were renowned for search and rescue efforts, even without human direction. My ancestor, Barry, exemplifies our extraordinary working ability and superb noses, rescuing people buried deep in the snow and leading them to safety. And while we aren’t speed demons, don’t discount our athleticism. 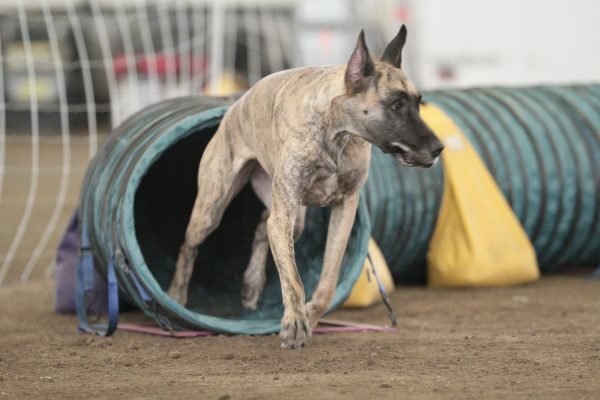 We can compete in obedience, tracking, carting, and weight pulling. And by the way, my name is Snitch (that’s me above) and I rock the agility world. My handler, Jann Hayes, says I don’t have blinding speed, but I have a steadfast, reliable, approach to agility. More importantly, I always play to my fans! 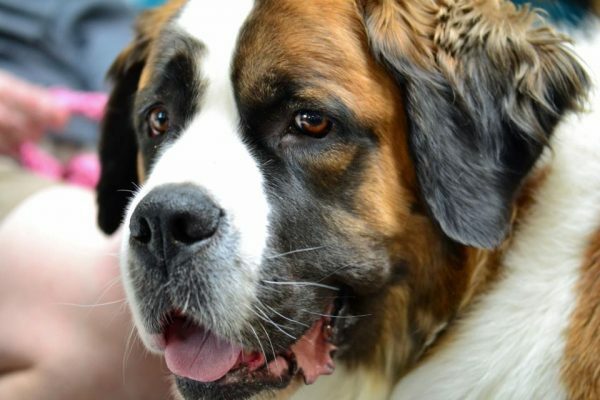 The post We Bust Myths About 5 Dog Breeds appeared first on Dogster.